Raymond Gabbott was born in 1925 and lived in Greater London and Kent. 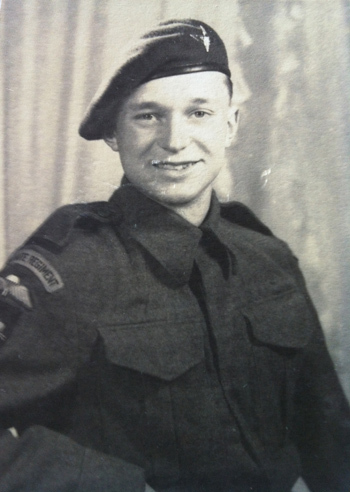 He trained at The Royal Academy Schools from 1950 to 1955, having served in the 6th Airborne Battalion The Parachute Regiment during World War II. 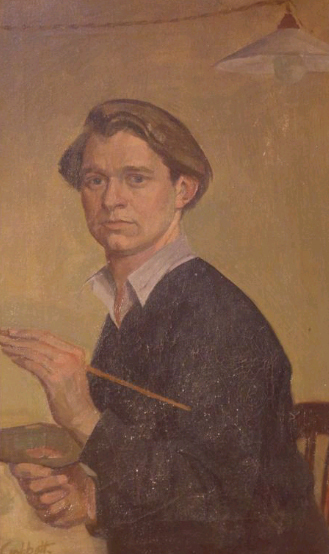 Taught by fellow Aero Artist Bernard Fleetwood-Walker, Gabbott received the Hacker Prize for Portraiture (1953), the Landseer Scholarship (1954) and the Leverhulme Scholarship (1957). He began his early career in portraiture and later worked as a commercial artist under the pseudonym of 'Parr Chappel'. Ten years before his first J. Walter Thompson Aero (JWT) commission, Gabbott known as 'Gab', served in the 1944 Merville Battery attack. Dropped into Normandy on the day before D-Day, June 5th 1944, his battalion was tasked with disabling the guns that threatened the planned British landings on Sword Beach. Whilst the battalion successfully captured the Battery, only 75 of the 150 men who reached the target actually survived. Over 600 soldiers had been trained for the operation. Many of these men drowned on the night or subsequently fell in Normandy and the Ardennes. Raymond Gabbott was one of a small handful to survive the entire war. 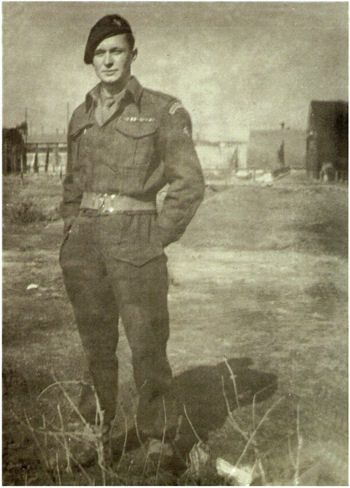 Raymond Gabbott, 'Gab's favourite portrait of himself in the parachute regiment', c.1940s. By permission of Gabbott estate. Raymond Gabbott, Self portrait, early 1950s. By permission of Gabbott Estate. He later benefited from the postwar Further Education Training Scheme (FETS), which provided grants to all ex-servicemen and women eligible to enter higher education programmes. The grant scheme was Gabbott's ticket into art school, without which and by talent alone, his Aero Girl commission may never have happened. By all accounts, Raymond Gabbott cut a dash on his admittance into the Royal Academy Schools on 12th December 1950. His daughter Drusilla Gabbott remarks that 'his status an ex-Paratrooper definitely made him quite glamorous in the eyes of many of the girls at art school, including my mother.' 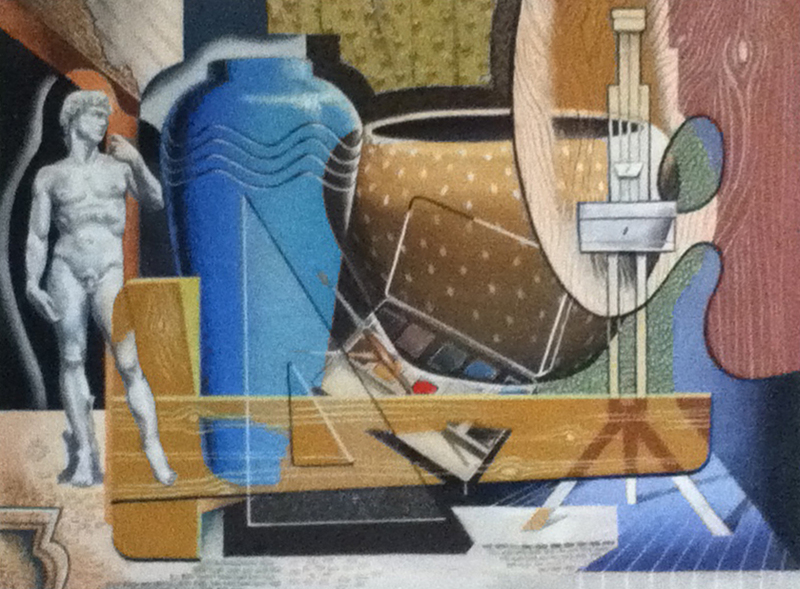 Also an artist, Diane Gabbott ne&eacute; Baldwin featured twice as Gabbott's Aero Girl model between approximately 1954 and 1956, and they married in 1958. 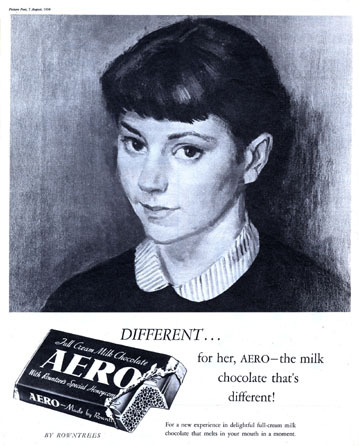 Raymond Gabbott painted at least two portraits of his future wife Diane for the Aero Girls campaign. One of these paintings is held in the Rowntree & Co. Ltd archive at the Borthwick Institute for Archives and bears the title Nancy. Thanks to the Gabbott family, we now know that 'Nancy' was a fictional character name created by the advertising team. It is likely that Gabbott, whilst still a young art student, was recommended for the commission by Henry Rushbury, keeper of the Royal Academy Schools. Rushbury was a close friend of George Butler, then Head of Art at JWT and in charge of the Rowntree Aero advertising account. Fellow Aero artist and ex-paratrooper Frederick Deane shares a similar story. Both painters were reluctant commercial artists who preferred to be known for their own practice. Raymond Gabbott's commercial work was notably conducted under the alias of Parr Chappel. The pseudonym was an amalgamation two old family names. Raymond's father was called Cecil Parr Gabbott and Chappel is also a family name from the Baldwin side. Raymond Gabbott , August 1946, Palestine. By permission of Gabbott estate. Chelsea Arts Club Ball poster design, 1950s. By Raymond Gabbott. By permission of Gabbott estate. 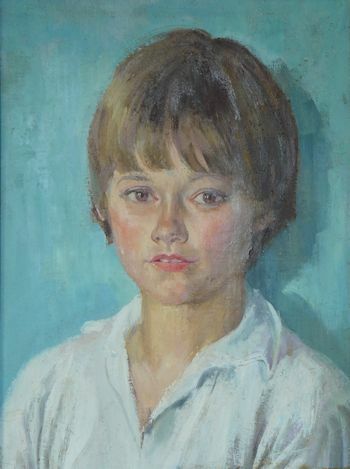 Portrait of daugher Drusilla Gabbott as a child by Raymond Gabbott. By permission of Gabbott estate. 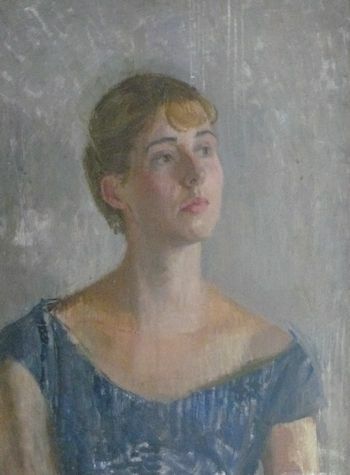 Portrait of Mary Codrington Forsyth at Harrow School of Art, circa 1950s by Raymond Gabbott. By permission of Gabbott estate. 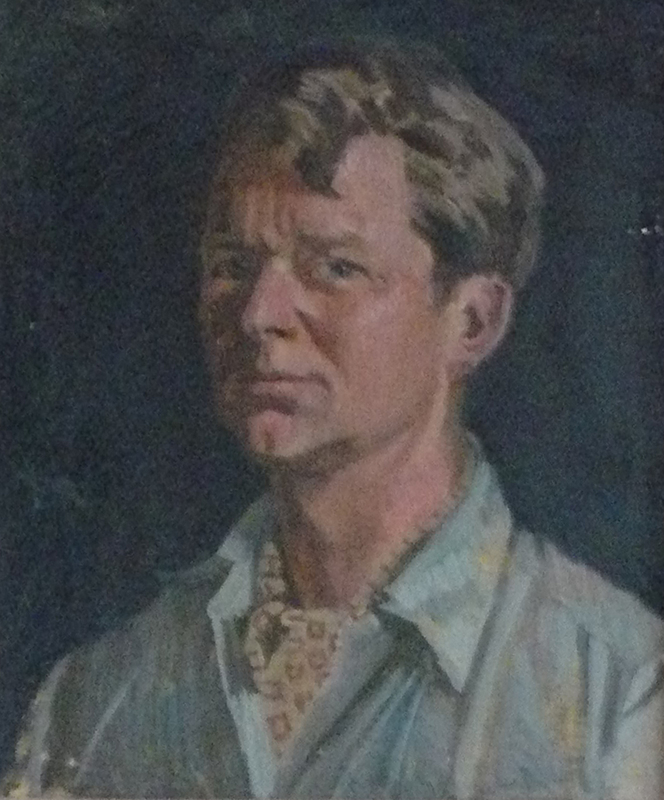 Self portrait, circa 1950s by Raymond Gabbott. By permission of Gabbott estate.